The 5.11 Men's Academy Short offers lightweight maneuverability and superior durability for multipurpose utility that excels in recreational, work, and tactical environments. An extended 6.5" inseam provides additional leg coverage and increased pocket depth, maximizing protection and offering plenty of space for your gear. The seven pocket configuration includes blousing cargo pockets at each thigh and our trademark rear strap and slash pockets at the rear, while abrasion-resistant Cordura nylon pocket reinforcements provide plenty of strength to carry all your gear. A double-thick seat and extensive bartacking offer rugged resilience without sacrificing ventilation, and a self-adjusting tunnel waistband ensures a secure fit on the move. 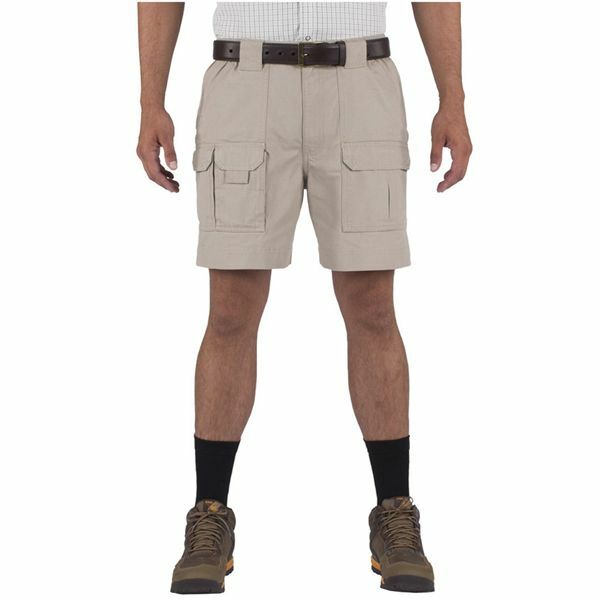 Combining comfort, performance, and lightweight breathability, the 5.11 Academy Short is an ideal choice for a broad range of applications.